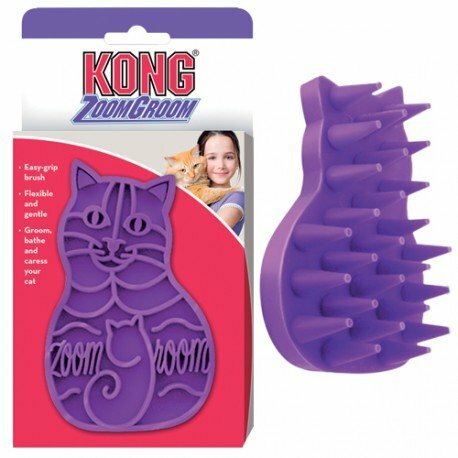 The KONG ZoomGroom is the best grooming and shampooing brush available. It removes loose hair like a magnet, and it stimulates capillaries and natural oil production for healthy skin and a healthy coat. Colors vary, option not available.